4 times World Champion and Olympic aspirant Jason Waterhouse completes a hot lap with Tash Bryant in gusty conditions - May 12th. In 2010, ISAF World Youth Sailing Champions Jason Waterhouse and Lisa Darmanin became the inspiration and catalyst for the creation of the Objective Future Champions Program when their discipline, multihull sailing, was dropped from the event schedule for the 2012 Olympic Games. All existing training opportunities and funding for the champion team ceased overnight. As a result, the Objective Future Champions Program was established to ensure young Pittwater sailors with international aspirations could access the quantity and standards of training required to succeed on the world stage. 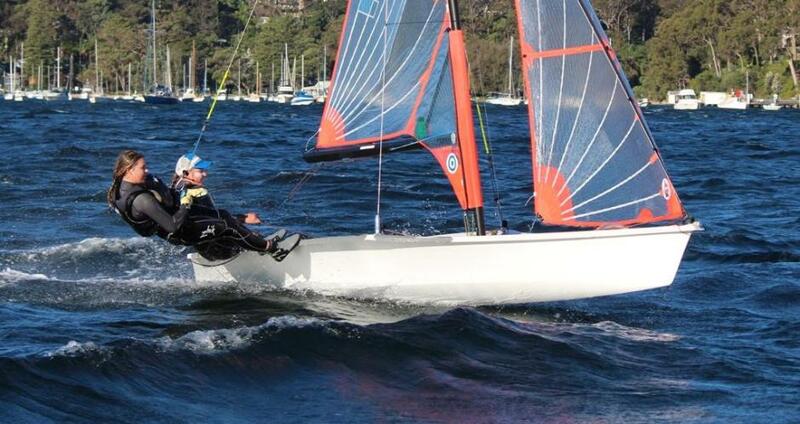 The program is a collaboration between local successful businessman and keen sailor Tony Walls and international coach Traks Gordon that provides highly subsidised coaching to young Pittwater sailors who are aiming high. The program is conducted from The Royal Prince Alfred Yacht Club in Newport. In 2012 Jason and Lisaâs dedication and ongoing efforts within the Objective Future Champions Program were rewarded when multihull sailing was reinstated into the schedule for the 2016 Olympic Games. Immediately the pair embarked upon a full time campaign towards representation and success in Rio. 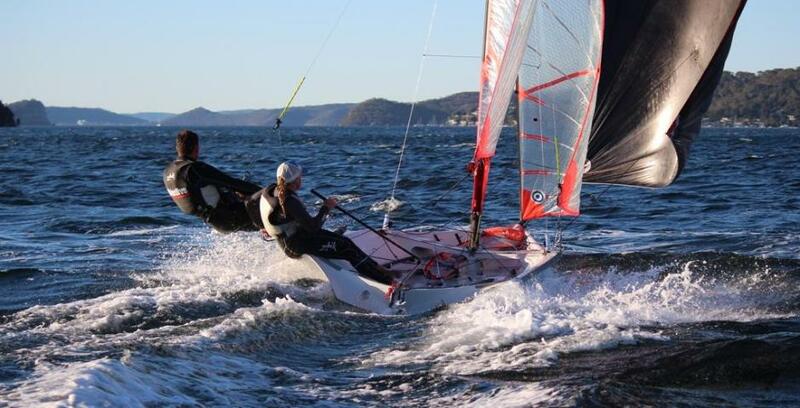 In 2014 Jason and Lisa placed highest Australians in the Nacra 17 class European and World Championships and remain in hot contention towards selection for the 2016 Olympics. The Objective Future Champions Program has enabled teams of this calibre to both be developed and remain based on Pittwater in full view and easily accessible to the younger and aspiring generations of sailors. Many of who have gone onto represent Pittwater and Australia in major competition. In 2015 three young Objective sailors will begin their international sailing careers. 13 Year old Nathan Bryant will spend 2 months training and racing his Laser 4.7 in Europe whilst his sister, Australian Youth Girls Champion, 14 year old Tash Bryant and her crew Annie Wilmot, 16, all from Newport will compete in the 29er European Championships, UK Nationals and Open World Championships. This week Jason and Lisa returned from stage 1 of their 2015 World Cup campaign and Olympic qualifier selection process to pack equipment en route to Rio. The champion pair made time to return to the Objective Future Champions Program and provide valuable insight and inspiration to the newest generation of global travellers. Lisa outlined how she managed to train, travel and win the ISAF Youth World Championships whilst at the same time achieving phenomenal academic results in her final year of high school. Lisa then described how she balanced a university degree with her Olympic campaign. Jason conducted a 2-day workshop with the girls 29er team outlining his experiences gained from 4 ISAF Youth World Championships and 9 years of International competition in youth and professional racing. Jason described the highs and lows of the learning curve, the tests one faces that separate the champions from the competitors and the desire one must have to train, not until you get it right but until you can't get it wrong. The workshop was followed by an on water session last Tuesday in gusty 20-30 knot winds where Jason put the girls through their paces and even jumped on for a ride. As a sailor who represented Australia as a 14 year old, Jason has the empathy and insight to share knowledge few others can provide. His advice was greatly appreciated and given his praise for the girls performance in extreme conditions we can look forward to a team who will soak up the experience and bring it home to share with next years generation of travelling champions. The inspiration for the Objective Future Champions Program Jason Waterhouse returns to inspire the next generation of international sailors, Australian Youth Female Champions Tash Bryant (standing) and Annie Wilmot last Tuesday. Tash Bryant and Annie Wilmot training hard 4 times a week for their first European tour in July.